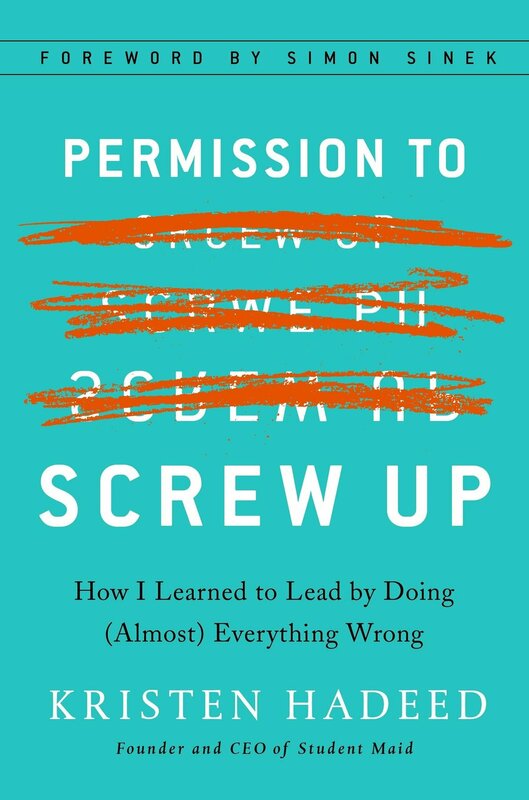 Kristen Hadeed, motivational speaker and author of Permission to Screw Up, joins the show to talk about her entrepreneurial journey. With a driven spirit at just 8 years old, Kristen was always looking for new ventures to immerse herself in; overcoming any obstacles that stood in her way. Now the CEO of Student Maid, she’s acquired her fair share of wisdom. Tune-in this week for some unforgettable tips and motivation to becoming the entrepreneur you want to be! Permission to Screw-Up - Kristen Hadeed unintentionally launched Student Maid, a cleaning company that hires students, while attending the University of Florida in 2007. Since then, Student Maid has employed hundreds of people and is widely recognized for its industry-leading retention rate and its culture of trust, accountability, and compassion. But Kristen and her company were no overnight sensa­tion. In fact, they were almost nothing at all. A few months into her new venture, disaster struck when 75 percent of her cleaning team quit on the same day. Reclining in a comfy armchair, Caesar salad in hand, Kristen watched in shock as forty-five grimy, sweaty peo­ple marched in and resigned on the spot. Her company was about to crash and burn, with an unfulfilled contract to clean hundreds of apartments. What had she done wrong? How could she get her team back? And how could she keep this from ever happening again? The mistakes leading to that mass walkout weren’t her first, and definitely wouldn’t be her last. But that hu­miliating experience sparked her obsession with learn­ing how to be a better leader and inspired her to make Student Maid a place her people couldn’t imagine leaving.